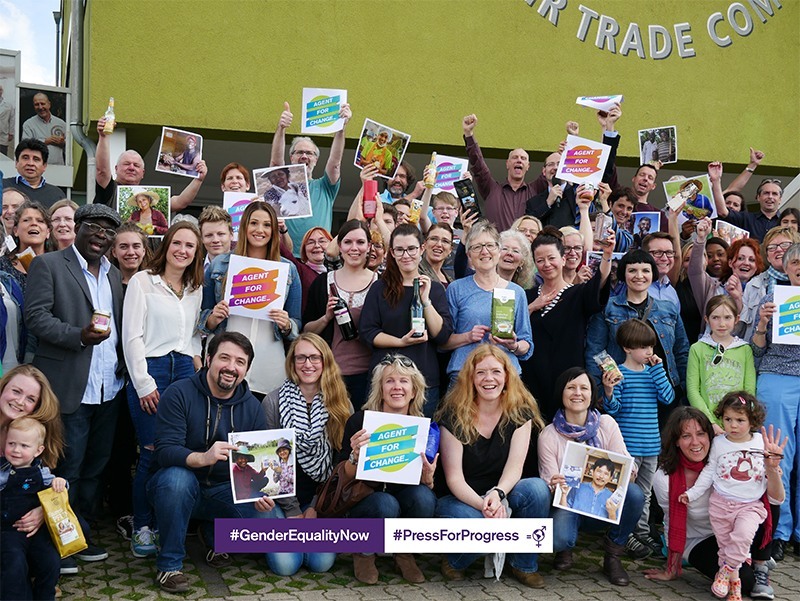 Of course, gender equity is crucial in our ongoing business – with regard to our staff as well as our partner producers. At GEPA, women make up 58 percent of the work force. When GEPA recruits new staff and equally qualified male and female candidates apply, preference will be given to women. Thus, we have many women in leading positions at middle management level. This is true for the following departments: Policy, Media and Communication, Merchandise Management/Logistics or Portfolio, Advertising, Accounting, Human Resources, Quality Assurance. On the other hand, the heads of our Purchase and Sales departments (also located at middle management level) are men. Leading positions at top management level are held by men. GEPA also promotes efforts to reconcile work and family life for men and women. For example, a male colleague in a leading position was on paternity leave nine years ago. The head of our media and communication department is working in home-office two days a week. 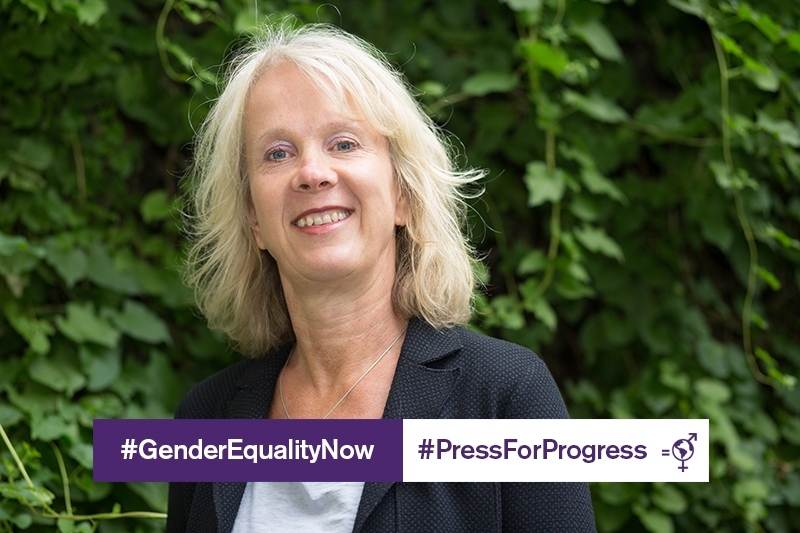 A gender working group has been established but their work was discontinued due to a reconstruction process and other constraints, but there is still the intention to take this issue up and to develop a GEPA Gender Policy. There is a first draft paper that needs to be further discussed and developed. Of course, GEPA also promotes gender equity through fair trade with our partner producers. For instance, GEPA has been working with the Honduran women’s coffee cooperative APROLMA since 2015. APROLMA (Asociación de Productoras Libres de Marcala) is one of the few women’s cooperatives on the coffee market worldwide. The cooperative mainly exports organic Arabica coffee to European fair trade organizations such as GEPA. APROLMA sets great store by capacity building which includes vocational training in organic farming or quality assurance, training in human and women’s rights, coaching to build self-esteem. In 2016, GEPA started working with the Ugandan coffee cooperative Bukonzo. The organization received several awards for their commitment to gender equality. For instance, Bukonzo Learning System Components is training to promote equal working relationship. Women are often registered as equal owners to men. This is true for 67 percent of all married couples. These are just two examples to show how GEPA contributes to gender equality according to Fair Tarde principle 6 of WFTO. "Since the birth of my son 14 years ago, I have had the opportunity to reduce weekly working hours and to combine home-office and on-site office. Thus, I worked three days at home in Cologne and two days at the GEPA headquarters in Wuppertal. “Step by step I have increased working hours again. Starting from now, I am working one more day in the office in Wuppertal. This flexibility is a good chance to reconcile work and family. I believe that employers also benefit from these models and from happy employees. GEPA started early to make work-life balance possible. Today, these kind of working time models are more developed than before. Many of my young colleagues with family use this opportunity.